National Heroes' Day is a public holiday in the Cayman Islands celebrated on the fourth Monday in January. The celebration has been held since 2003. 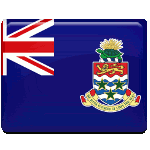 In 1993, the Legislative Assembly of the Cayman Islands passed the National Heroes Law. According to the law, the persons who have made significant contributions to nation-building and community service can be declared as national heroes. It is considered the country's highest honor. The first National Hero of the Cayman Islands was named in 1994. This honor was posthumously given to James Manoah Bodden who served as a member of Executive Council and contributed to the establishment of Cayman Airways. Sybil Ione McLaughlin was declared the second National Hero in 1996. In 2003, National Heroes' Day was established to celebrate the tenth anniversary of the National Heroes Law. It became a new public holiday. On January 27, 2003 a Wall of Honor was erected in George Town, the national capital. It bears the names of more then five hundred men and women who have been declared as national heroes. On each National Heroes' Day, new Caymanians are declared national heroes for having made significant contributions to the development of the islands.